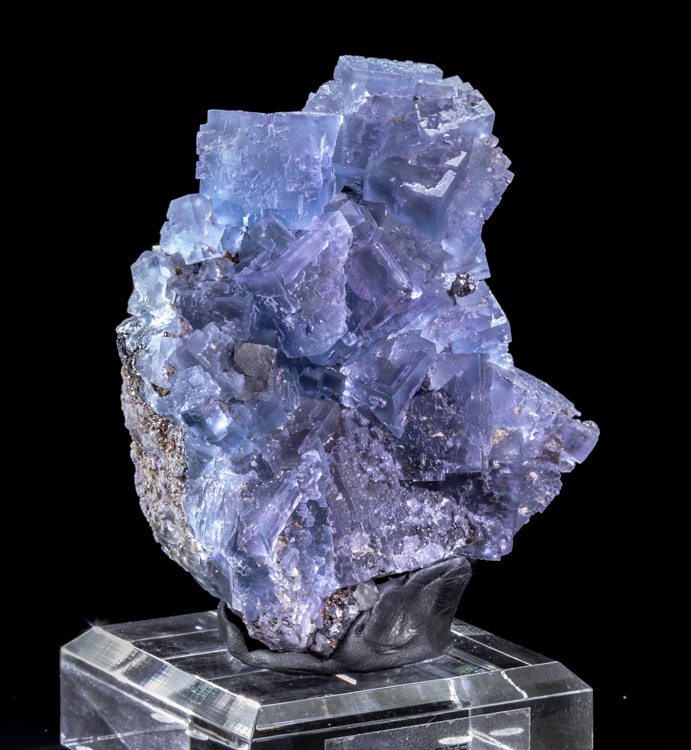 A great specimen of Illinois fluorite! 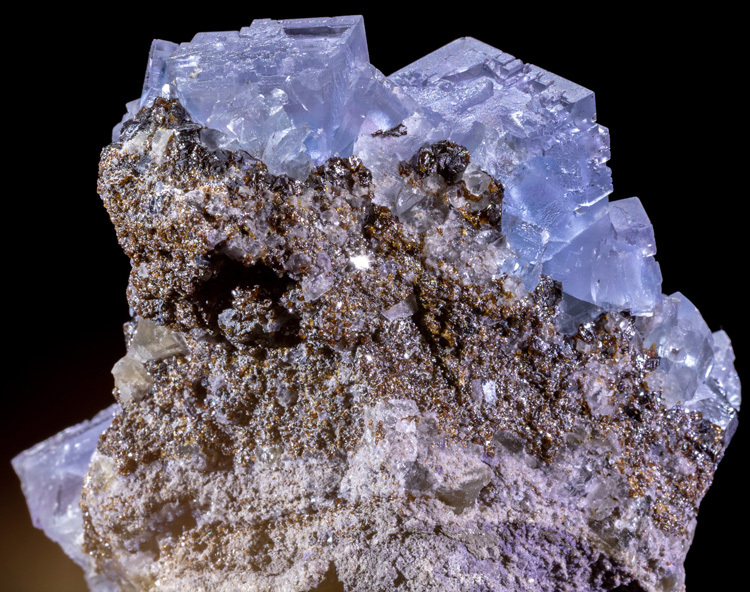 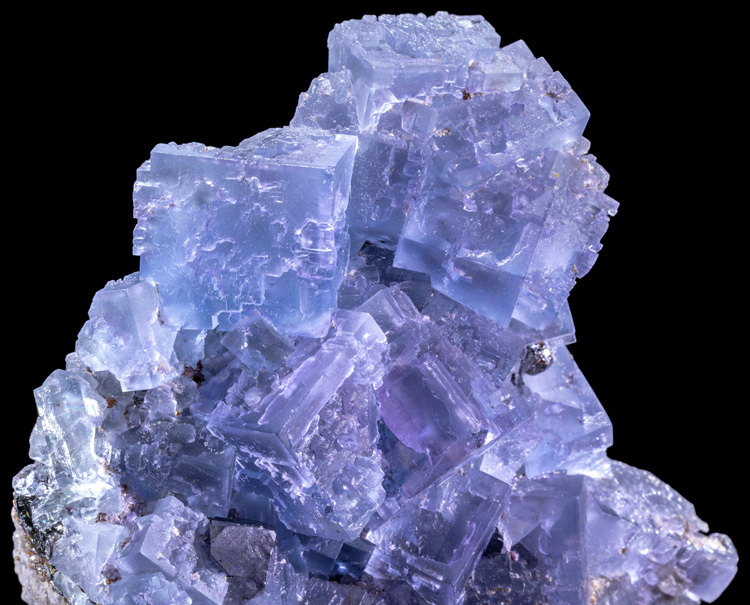 A mass of blue fluorite cubes are on a matrix that also has sphalerite crystals on the backside. 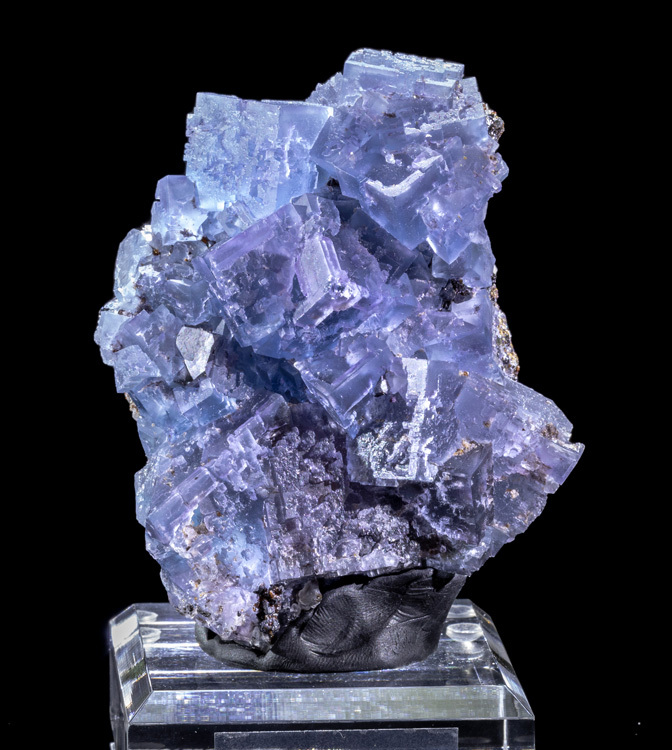 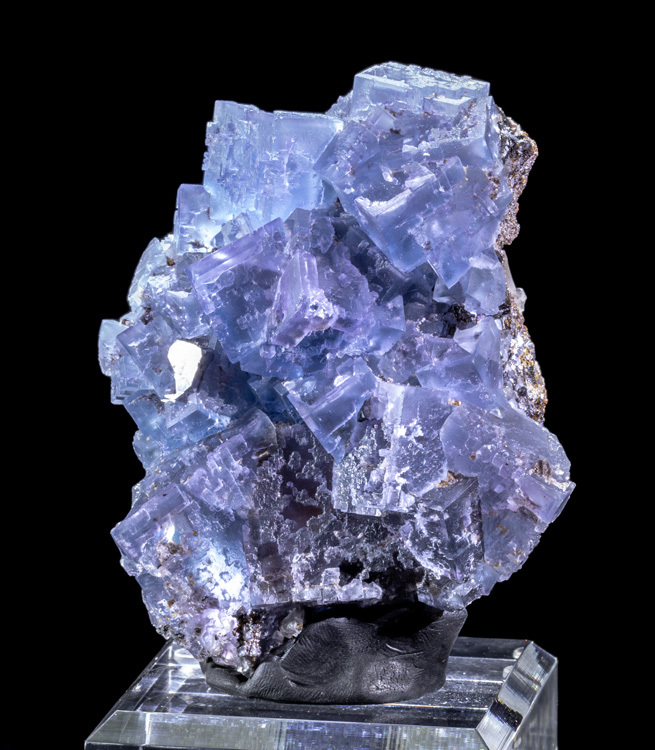 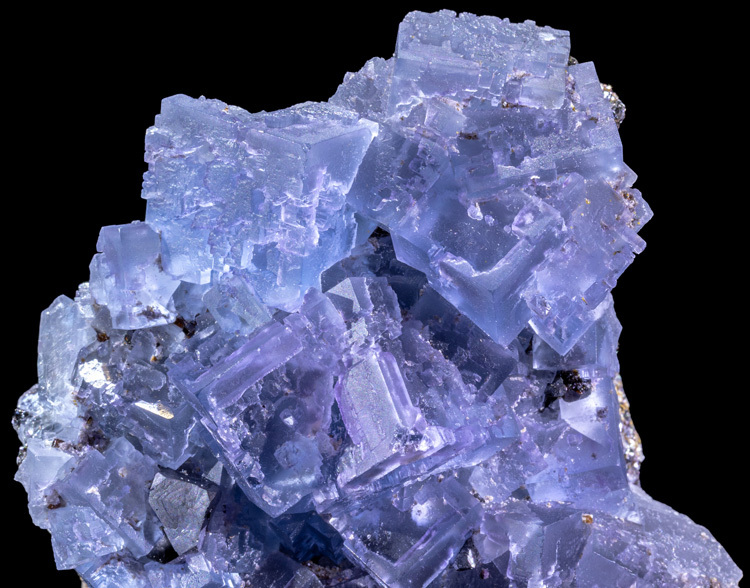 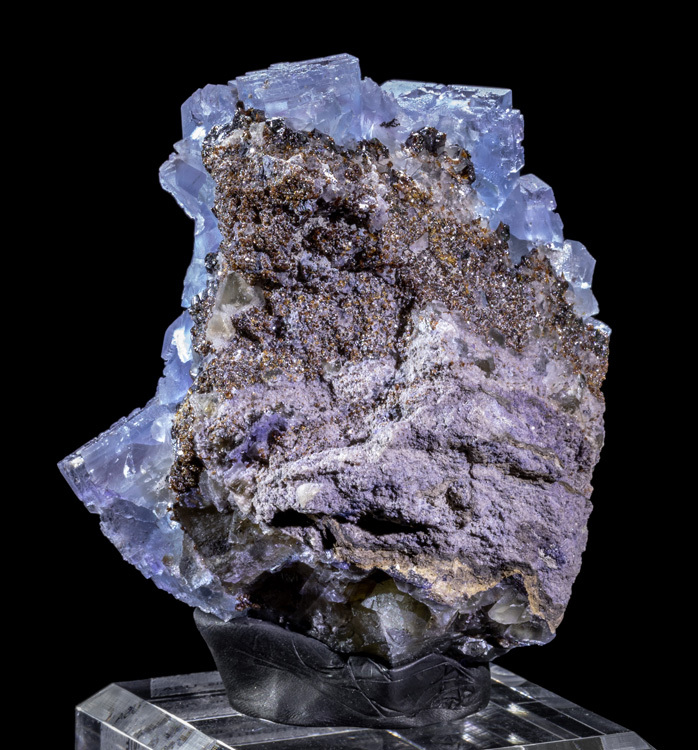 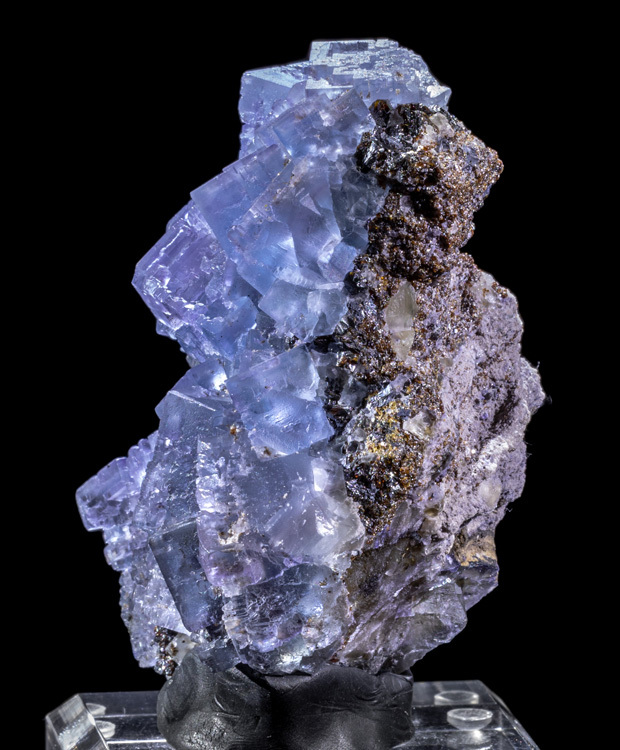 The blue fluorite has a slightly purple tint to it, and the extremely stepped. 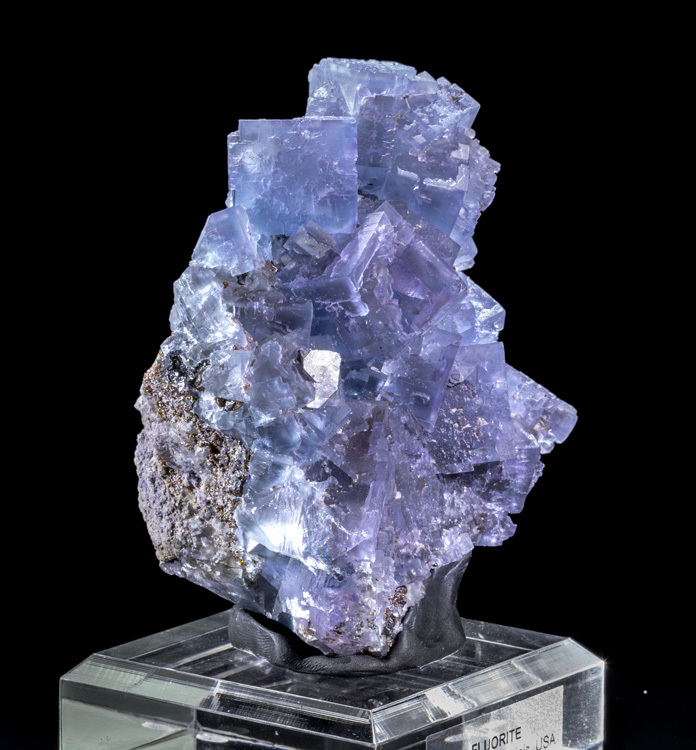 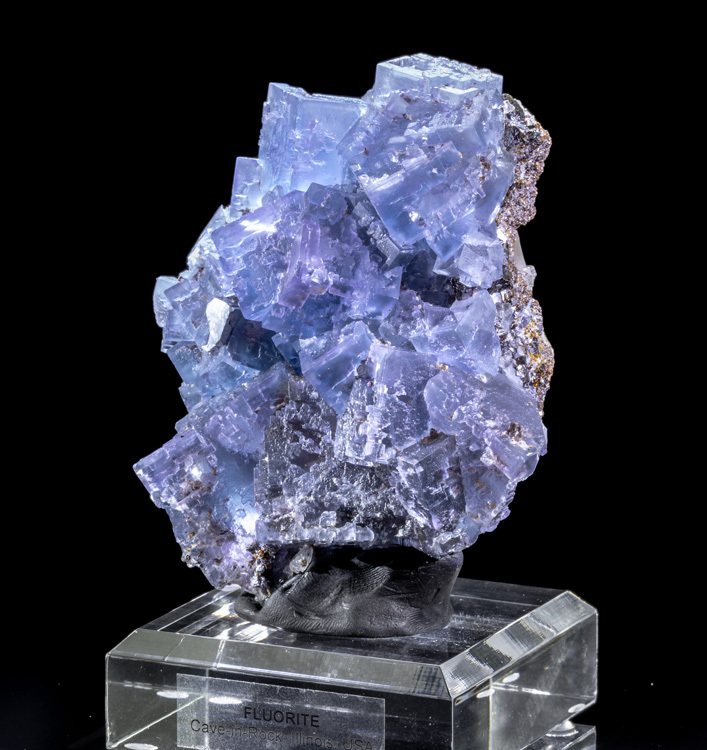 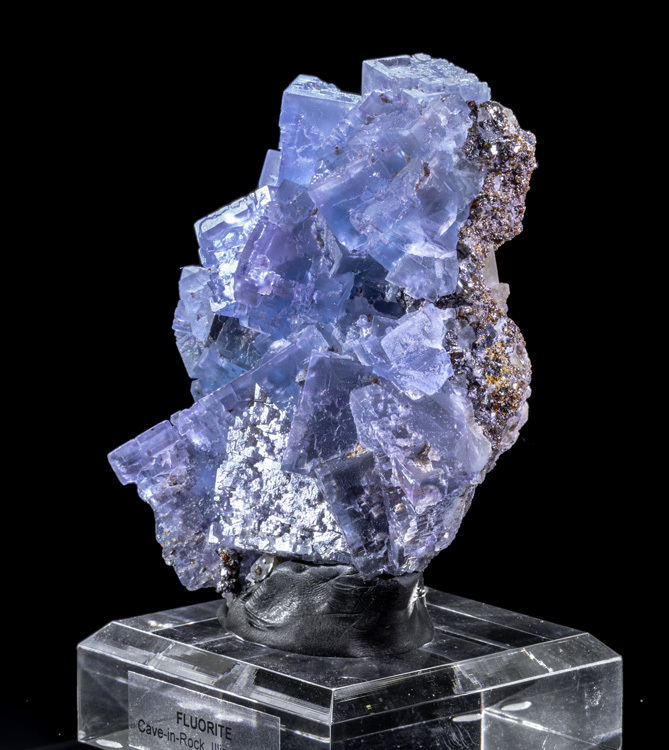 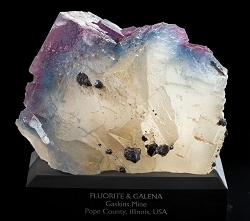 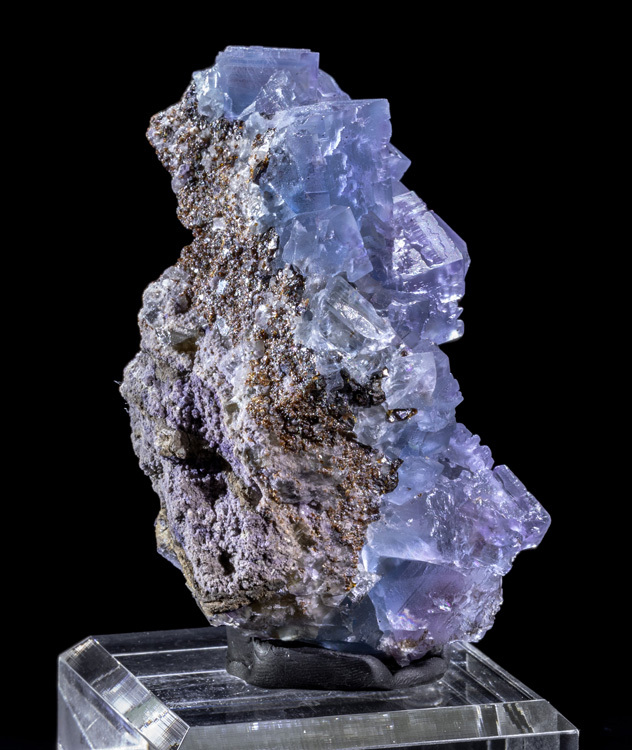 The stepping is quite deep relative to the size of each fluorite cube, so it gives the specimen a very unique appearance which is better observed in person since 2D photos don't quite capture the stepping as well as the human eye. 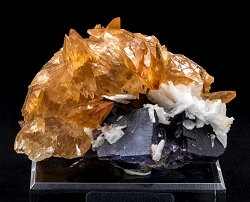 Very good condition with just one chipped corner and the usual trimming around the edges of the specimen.